AL ITTEFAQ STEEL PRODUCTS CO’s (ISPC) rolling mill produces hot-rolled, high tensile, weld-able reinforcement steel bars of sizes from 12mm to 40mm, manufactured by using the Thermex Bar Quenching process, 8mm and 10mm rebar’s and 5.5mm to 14mm plain round coils through wire-rod Mill. ISPC products are confirmed to National and International Standards. AL ITTEFAQ STEEL PRODUCTS CO (ISPC) was acquired through SIDF in 1989, with a capacity of 12,000 tons per annum. Now it is capable of producing 2.6 Million tons. As a part of AL ITTEFAQ STEEL PRODUCTS CO’ vision- to be a leading producer of high quality steel with the lowest possible cost. The plant will operate with high level automation to ensure productivity and consistent quality. 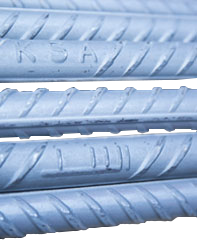 FAISAL STEEL’s Cut & Bend Reinforcement Bar Division (C & B) was established to produce steel reinforcement bars in the required lengths and shapes for use in construction. This division is well equipped with ultra-modern, state-of-the-art equipment from the world-famous m/c manufacturer, as well as the latest software, including BBS detailing through CAD RC and ARMOUR software. All of our equipment for cutting and bending conforms to international standards, ASTM, ACI-316, BS-4466, BS-8666 for reinforcing steel to cut down steel wastage and delivery time. This also produces steel products with higher dimensional precision. Our shear line, double bender, single bender and stirrup machines utilize advanced computer programming features to create distinctive shapes and sizes. Our prefabrication standards help our customers raise productivity standards in their construction projects. Our solutions can be customized to any project’s requirements, such as timelines, manpower and inventory management, as well as reduce material wastage. The advantage of using factory-cut and bent steel reinforcement bars is realized in labour requirements, machinery requirements, waste steel, time and quality consistency. Finally, since the cutting and bending is carried out by machines, the measurements and consistency in the bending of multiple bars will be spot-on, which a manual process cannot practically achieve. 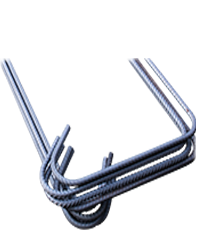 AL FAISAL STEEL PRODUCTS CO. is famous for producing high-quality steel products, including galvanizing line end products. AL FAISAL STEEL PRODUCTS CO. is equipped with a modern, highly sophisticated 32 wire hot dip that has an automated galvanizing line with the facility for in-line Heat treatment (annealing) of drawn wire,and a nitrogen wiping facility for precision control of zinc coating film and consistency in the coating controlled by an automated Zinc Monitoring state-of-the-art facility. 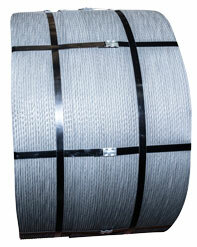 Galvanized wire is a carbon steel wire coated with zinc. 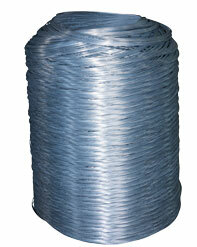 The two processes used to produce galvanized wire and coil are continuous hot dipping and electro-galvanizing. Generally speaking, the hot dip process consists of passing the steel through a bath of molten zinc. 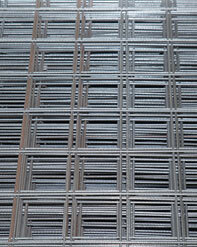 The electro-galvanizing process consists of the application of zinc by electrolytic deposition, or electroplating. 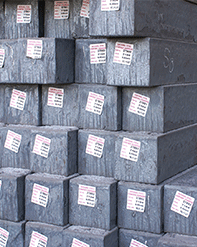 The result is a layer of zinc tightly adhering to the base metal through an iron-zinc bonding layer. A zinc coating is one of the most effective and economical methods of protecting bare steel from harsh environments. The zinc not only serves as a barrier between the steel and the environment, it sacrifices itself to protect the underlying steel wire.Galvanic protection occurs when two dissimilar metals are in contact and coupled with water and oxygen. Zinc corrodes preferentially to the iron in steel. 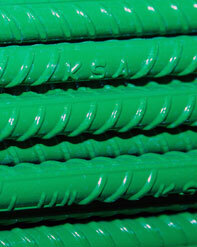 This protection prevents corrosion of the steel from areas not covered with zinc. Thus, the spread of corrosion from cut edges, drill holes, etc. is minimized. 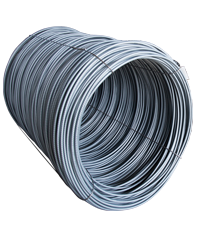 Because we adhere to the highest production standards, our steel wire can resist abrasion, bending fatigue and crushing. We understand the importance of producing a high-quality product that must perform at an optimal level to maximize its service life. 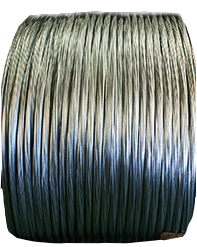 Our technical expertise ensures that our galvanizing steel wire products are manufactured to the highest standards in the industry. The processing line has an automated zinc coating monitoring system that can control steel wire of sizes ranging from 0.8mm to 4.5mm, which are used in electrical cable manufacturing,fencing, construction, barbed wires, nails, tying and binding wire.The galvanized wires are always tested according to the customers’ requirements. Highly trained and qualified professionals using the latest equipment conduct testing around the clock.